During November, I read a book by one of my favourite authors and a recently hauled trade paperback. A very quiet reading month but a happy one, nonethless! Orphaned at an early age, Philip Ashley is raised by his benevolent older cousin, Ambrose. Resolutely single, Ambrose delights in Philip as his heir, a man who will come to love his grand house as much as he does himself. But the cosy world the two have constructed is shattered when Ambrose sets off on a trip to Florence. There he falls in love and marries - and there he dies suddenly. In almost no time at all, the new widow - Philip's cousin Rachel - turns up in England. Despite himself, Philip is drawn to this beautiful, sophisticated, mysterious woman like a moth to a flame. And yet...might she have had a hand in Ambrose's death? As with most Du Maurier, a sense of unease permeates the novel and it's driven by a delicious subtext concerned with authority and the male gaze that I cannot help but be in awe of as it wasn't commonplace to query such things so boldly back then. It may not have gripped me as much as the other Du Maurier's that I've read (Rebecca, Jamaica Inn and Frenchman's Creek) but that's not to say that this novel doesn't ooze elegance and skill because it really does. Cousin Rachel will be a character that I will think of for years to come. 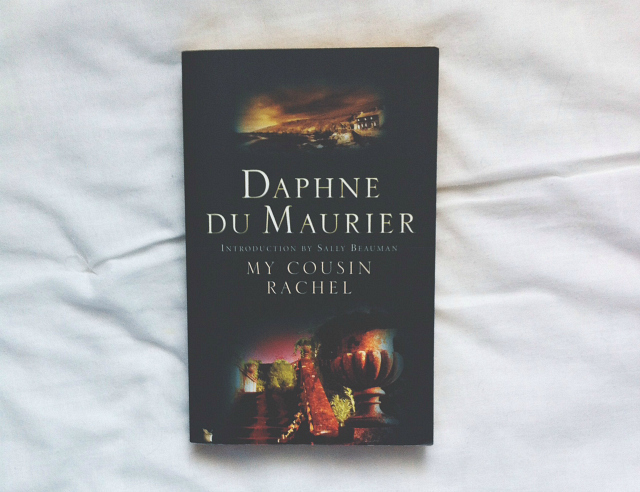 Don't make this your first Du Maurier but do give it a read. A throwback girl gang adventure from the creator of Saga that features time travel.What's not to love?! As I said in my book haul, if you're pining for Stranger Things then this'll fill that void. 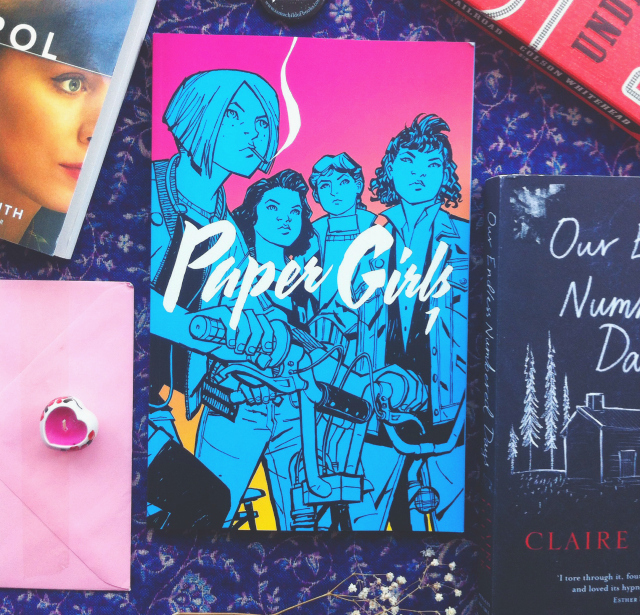 Batshit and badass, Paper Girls has Vaughan's stamp all over it with its fast-paced action and quick-witted humour. The story quickly descends into madness and calamity and I was more than happy to embrace it. The artwork complemented the story perfectly with a stunning colour palette and panels that I would gladly paste my walls with.I've added the next one to my Christmas wishlist. I have too many unanswered questions! If you'd like to scroll through all of my book blog posts then you can. Or, alternatively, you could just flick through my book reviews instead. This post contains affiliate links. If you buy the books through the links I've provided, I'll earn a 5% commission which will be put back into the blog.